Michelle is responsible for managing the technician team in the care and treatment of all patients in the hospital. Michelle has two pets: Zelda a Great Pyrenees and a cat named Isabelle. Brittany graduated in 2013 from Sanford-Brown College with an Associates Degree of Applied Science in Veterinary Technology. She joined the Southpointe team that November. Outside of work Brittany enjoys cooking and spending time with her fiancé and their Doberman Pinscher, named Sith. 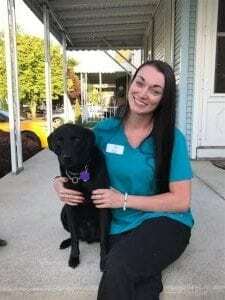 Amanda’s family includes her fiancée, a Peruvian guinea pig, a Pit Bull named Storm, and a German Shorthaired Pointer named Whiskey who has Addison’s Disease. She loves exploring the outdoors with her dogs and traveling. In May 2014 she went on a life-changing study-abroad trip to Ecuador and the Galapagos Islands, where she studied the local culture, rainforest and island conservation. She is passionate about rescuing and fostering animals, and is an advocate for microchipping and for dogs with Addison’s Disease. 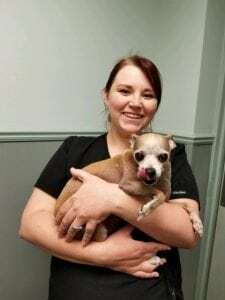 Brandi graduated from the Veterinary Technology Program at Wayne County Community College in June of 2015 and received her license in August of 2015. 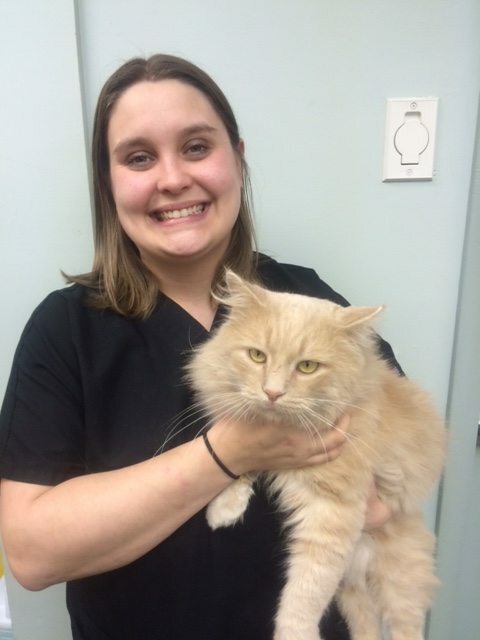 Her career in veterinary medicine began in March of 2013 working at a feline only practice. Brandi has been a part of the Southpointe team since January, 2015. She completed her practicum hours at Southpointe and was hired as a technician. She holds a special place in her heart for working with cats. She lives with her husband and all of her rescue cats but loves working with all animals. In the past she has had chinchillas, rats, uromastyx lizards as well as dogs and cats. In her free time she enjoys shooting archery, dancing and crocheting. 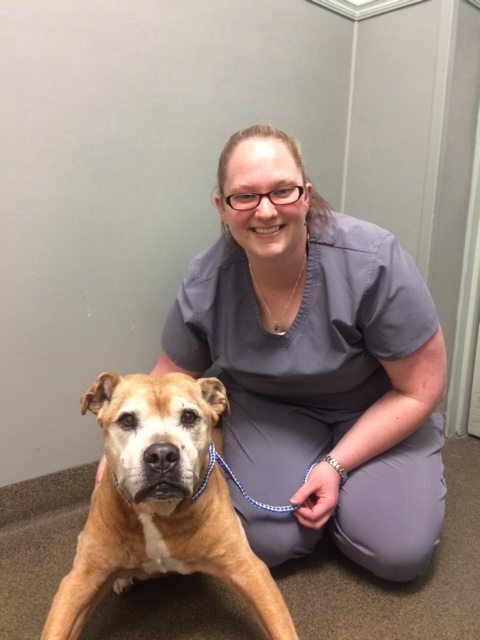 Heather graduated in 2013 from Sanford-Brown College with an associates degree of Applied Science in Veterinary Technology. She has been a proud member of the Southpointe team since October 2017. At home she has a Labrador/Jack Russell mix named Buddie who she rescued from a shelter in Tennessee. She also has a polydactyl Brown Tabby named Chewy. Thankfully the dog and cat have become best friends. Outside of work some of her hobbies include, horseback riding, baking, being on the boat at the lake, and spending time with her family. 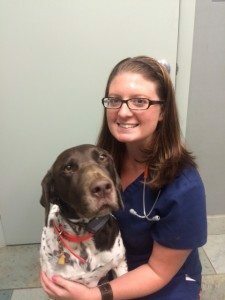 Lea graduated from the Veterinary Technology Program at Wayne County Community College in June 2015. Her career in the veterinary medicine field began in June 2014. She joined the Southpointe team in September 2017. 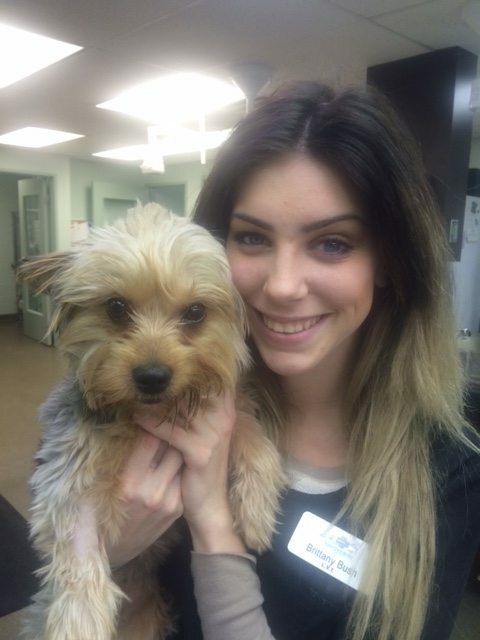 She has always been an animal lover and strives to make each pet feel safe while in her care. She also feels that client education is very important and makes sure the owner is well informed. Her family includes her husband and children, a pitbull named Nova, a Husky mix named Luna, a red-foot tortoise named Tiki, a Mini lop rabbit named Rosie, and her three cats, Chula, Winston, and Bobbie. In her free time Lea enjoys spending time with her family, cooking, and reading. © Southpointe Veterinary Hospital of Allen Park, PC | All Rights Reserved.